Whether you are a Mum or Dad looking for any kind of childcare, or a Nanny looking for work – we can help you! We are a privately owned nanny agency, established in Chalfont St Giles, Buckinghamshire. Our Head Office is still based in the Chilterns and covers Bucks, Berks, West Herts and Middlesex. More recently we have established a second branch covering London, East Herts, Essex & Cambs. All our contact details including office numbers, mobile numbers and email addresses can be found at the bottom of this page. We look forward to helping you and hope you will find lots more information that will help you on our site. We have been recruiting nannies and childcare staff since 1990. There’s nothing we don’t know when it comes to recruiting child carers. We are consistently recommended by Doctors, Midwives, Health Visitors and Clinics. We have a huge selection of staff to choose from – the vast majority having qualified locally and having been with us since the day they left college! You need it? We will find it for you – Full Time Nannies, Part Time Nannies, Mother’s Helps, Weekend Nannies, Overnight Nannies, Babysitters, Wedding & Event Nannies, Before & After School Sitters – all either temporary or permanent. candidates arriving in your inbox usually within the hour – at the very latest 2 hours! For permanent nanny recruitment we charge a flat rate. Full & Part-time Nanny Recruitment – 4 x the net weekly salary – paid on completion of the recruitment process. Minimum Fee £500.00. Or allow us to work with you one to one by signing our sole agency agreement and the rate is reduced to 3 x the net weekly salary. We do not charge any kind of registration fees or VAT. we are the Agency to come to! Most childcare agencies specialise in Nannies alone, but here at Daisychain we have ALWAYS recruited childcare staff into nurseries as well as families! We deal with nurseries on a daily basis and would love to add you to our long list of satisfied nursery clients. We recruit for nurseries – literally dozens of individuals, small chains and large chain nurseries are recruiting both temporary and permanent nursery staff through us every single week. Also carefully selected Trainees – only ones who we feel will take full advantage of training and are focused on a career in childcare. We have well established relationships with the local colleges – each year we gain access to the newly qualified nursery nurses and place the majority in local, reputable nurseries. We offer a good guarantee period and a free replacement if things aren’t working out within the first 8 weeks. Fill in our Online Registration Form or call our Nursery Consultant and this will set the ball rolling – we will either have the right person for you immediately or we will begin sourcing them for you! And remember – it costs you NOTHING to interview candidates – a fee only becomes payable when we find you exactly the right person. And our fee of 10% of the first year’s annual salary per nursery placement means we are a VERY affordable option. Looking for a job in childcare? We need you! The friendliest agency around – don’t just take our word for it: “The experienced team at Daisychain Nannies show commitment and care ensuring a good match between applicant and placement.” Claire, Amersham. Successfully placed twice by Daisychain. We can come to you! We will try very hard to interview you at a time that suits you and is near your home or work. We can arrange to see you in the early evening and at weekends, if that makes it easier for you. We regularly interview in Amersham, Marlow, Maidenhead and High Wycombe. 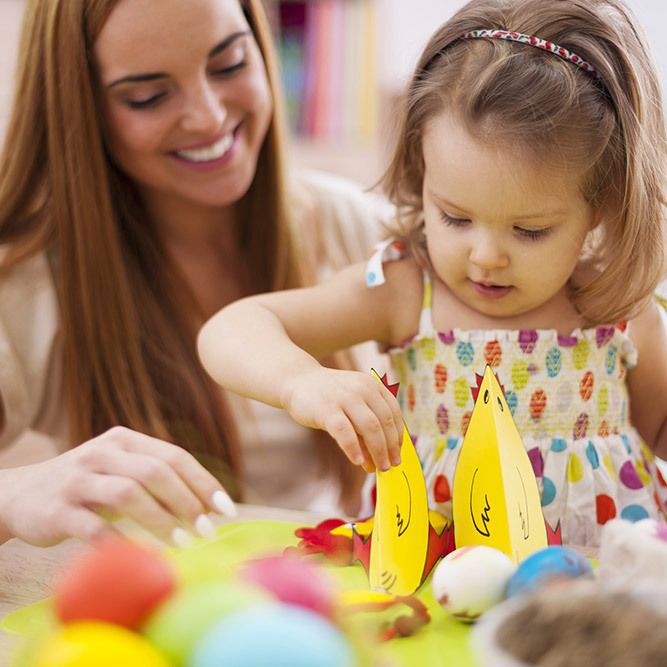 We are constantly recruiting either qualified or experienced Nannies and Nursery Assistants. Also for nurseries we need Room Leaders, Deputies and Managers. If you have no qualifications but are determined to work with children and are prepared to accept training in a nursery – still contact us. A long term relationship. We look after our girls (and the occasional much-welcomed boy!) and a huge amount of our nannies have been with us for 15 years plus. Once you are a Daisychain Nanny we will endeavour to guide your career, assist you with salary negotiations & contracts, help steer you in the right direction and we will look after you every step of the way. We will help you with your CV and your interview technique – offering one to one sessions for those who feel they need it – all for free. here’s just a small sample of what our clients are saying. I applied to Daisychain Nannies via email a few weeks ago which was very easy to do. I then had a lovely lady Sarah who called me and we had an over the phone interview via FaceTime. Sarah was very friendly and welcoming and made me feel very confident and at ease. She immediately reassured me and made me feel that she would support me as best she could to find me the perfect family. I couldn't recommend her enough and feel very confident that she will find me a good family. I wanted to say a huge thank you to you and your amazing staff. They were all fantastic on the day (and considering they were thrown straight in as it was so busy!!!) I was re-assured that they were up to speed on their 9 acute special needs children. Your Nannies were flexible, friendly and professional. My colleague will send you over the parent evaluations – please could you pass this onto your staff so they can read the lovely comments. I would certainly love to work with you again. Kindest Regards and Many Thanks again for helping to make this very special event a success for all the parents and children. Katie Quin is by far, the most efficient, caring, trustworthy, kind, and hardworking Nanny Recruiter I have come across. This is my first baby, and I have naturally been very picky on who I chose to help me. I used 3 other professional nanny agencies before I fell across Katie at Daisychain, and I can honestly say, I dropped all 3 of them almost instantaneously to work exclusively with Katie after our second conversation as I had so much trust and faith in her. She understood my needs from literally day one, and in the end, it was such a hard decision for me to choose the right Nanny, as she had given me so many great ones to interview. I was spoilt for choice. But Katie ultimately helped me make my mind up in finding the perfect Nanny since she had really taken time out to understand me as a person too. Katie is a very special lady and has an incredibly natural gift in what she does. I hope you get to benefit and enjoy the results as much as we certainly did. – Register as an employer with HMRC. – Keep a payroll record and provide payslips on her behalf. – Pay Employee’s income Tax and National Insurance Contributions. – Pay Employer’s National Insurance Contributions. – Provide an annual summary of all these deductions and payment. See this document (provided by Nannytax) for more details of your reponsibilities and how Nannytax could help you. If you contact Nannytax please mention that you were informed about their company by Daisychain Nannies. Please contact your local Daisychain Consultant and we very much look forward to helping you. © 2019 Daisy Chain Nannies ALL RIGHTS RESERVED.